Vintage Elegant Enameled Earrings with Sparkling Crystals gorgeous piece. 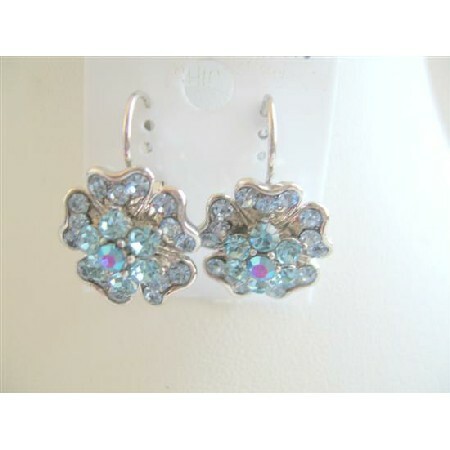 These are cutie flowers will make your ears sparkle with a Aquamarine Color faceted crystals each center! A brushed silver finish adds depth & interest to the flowers. The flowers drooping while wearing! Classic & Stylish Pierced Earrings. Fashion Earrings feature hook styling & faceted crystals beads. These HOT En-Vogue Earrings are a must have for todays fashion accessory. Pierced earrings are a great look for both day & night! !.